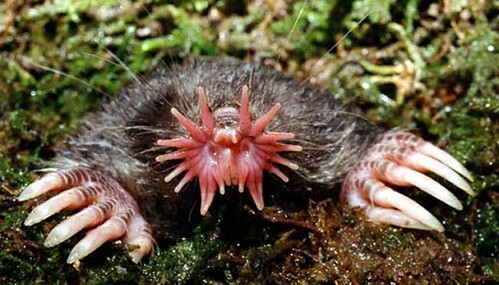 Does an agitated mole mean it's dangerous? I recently had my moles checked, my doctor has told me one looks agitated but she’s not concerned about it. My bra strap does rub against it all the time so it could be that. Does anyone know, I’ve had it checked by 2 doctors and both has said it looks fine but slightly red…. it hasn’t changed shape or anything. “Agitated” might simply be the doctor’s own vernacular, in which case I would guess that the doc was referring to the way it was irritated by the bra strap. AFAIK, moles are benign until they are malignant, and the transition is not caused by physical stimuli. I know I’m going to get modded for this, but I thought you were talking about an angry mole. Your not the only one ha ha. I was going to warn against rabies, etc. Has anyone had Cryotherapy on a mole? What will happen since I squeezed my mole? What's a good way to get rid of moles under a lawn? Are there any type of products for hiding or preventing moles?